The trials were conducted within the Army Air Defence Artillery Group’s Exercise Panah Jaguh. Panah Jaguh takes place twice a year in March and October and is open to the media. However, the last exercise was closed to the public due to the Starstreak NG acceptance trials. As announced on the Royal Malaysian Navy’s Twitter account, the Starstreak NG was fired from a Lightweight Multiple Launcher (LML). It is considered that firing from the Starstreak RapidRover and RapidRanger versions was also performed, because these platforms were involved in the exercise as well. It is supposed that used targets involved the Meggitt BTT-3 Banshee drone. As a reminder it shall be mentioned that in 2015 Malaysia ordered an undisclosed number of launchers in LML, RapidRover and RapidRanger configurations in an approximately $130 million. Six RapidRanger systems mounted on URO VAMTAC 4×4 vehicles are part of that contract. The RapidRover configuration of Malaysia is an LML mounted on a Global Komited GKM1 4×4 vehicle. 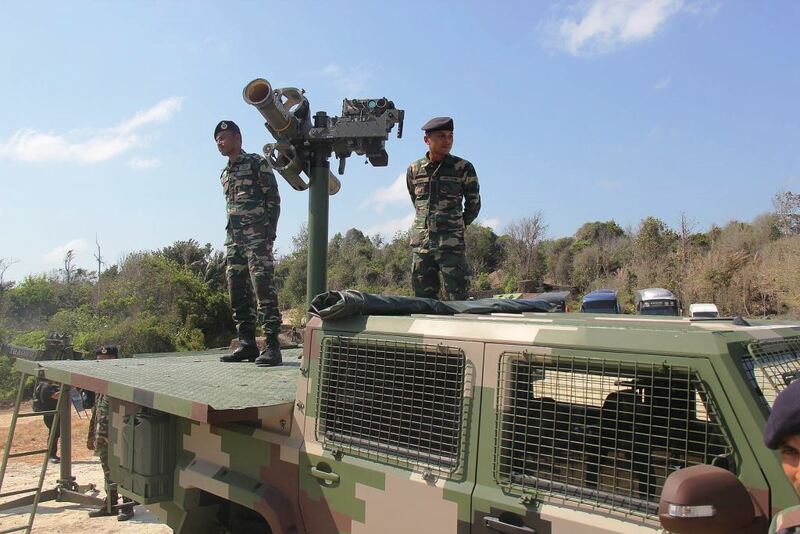 The Starstreak NG will be part of the equipment of the Malaysian Army’s 32nd Royal Artillery Regiment, the Royal Malaysian Navy’s Base Air Defence Unit, as well as the Royal Malaysian Air Force’s 401 Ground-Based Air Defence Squadron. the Malaysian Army’s 32nd Royal Artillery Regiment is expected to operate all three configurations, and the other two services will benefit of the RapidRover and LML configurations. In March, as part of initial training on the system, Malaysia performed firings of the earlier Starstreak HVM missiles. Malaysia’s remaining stock of Starburst missiles (the last of which were phased out in 2013) were exchanged for HVM missiles.